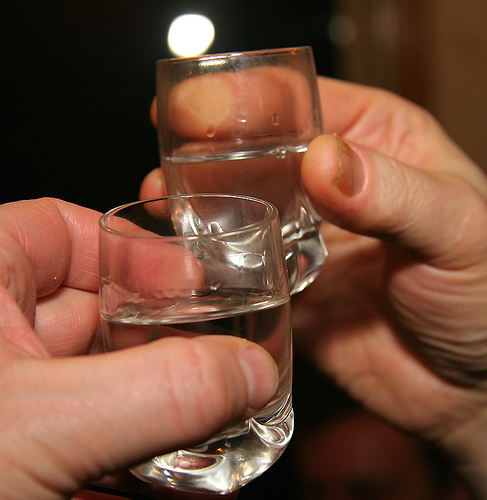 A new study has made some of the glaring exposures about the health hazards of vodka. The research has claimed that alcohol consumption, particularly vodka, is responsible for a quarter of Russian men dying in young age. The researchers surveyed more than 150,000 people and found that Russian men were leading to extraordinarily high premature deaths. It means they were dying young before they reach their mid-50s. These men were drinkers of vodka, some of whom reported drinking at least a litre and a half of vodka a week. 25 percent of Russian men die before they are 55 and the leading cause among deaths of most of the people was alcohol as they mostly suffered from liver ailment and alcohol poisoning. Accidents and fights were also registered high among these men. The study was conducted by the scientists from the Russian Cancer Centre in Moscow, Oxford University, UK and the World Health Organisation International Agency for Research on Cancer, France. The researchers tracked drinking patterns in three Russian cities over up to 10 years. 8,000 Russians were died during that time. For collecting more in-depth information about the Russians drinking and death pattern, researchers analyzed previous studies related to 49,000 people who had died. The families of these people were asked about their loved ones’ drinking habits. Majority of the drinkers were found to be smokers. Russia brought in stricter alcohol control measures in 2006, including raising taxes and restricting sales. Researchers say alcohol consumption has fallen by a third since then and the proportion of men dying before they reach 55 years old has fallen from 37 to 25 percent. The researchers concluded that the binge drinking habits was the key problem that was leading the Russians towards death. The study was published in The Lancet journal.